As a Certified Heartbreak to Happiness® Coach, Dhyanis is committed to supporting bereaved mothers and providing a caring, personalized and effective recipe for rebuilding a new relationship to life. Born on Valentine’s Day, Dhyanis Carniglia has always led with her heart. As a long-time Bellydance teacher and performer, she is an expert at leading women on journeys of confidence building and self-discovery. Dhyanis has also studied Dance Therapy with Anna Halprin and Bodytales with Olivia Corson. 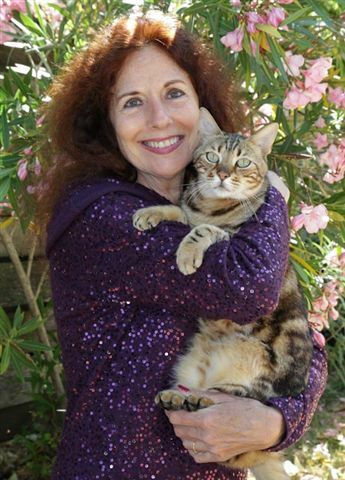 She has led healing movement workshops for cancer survivors and recovering addicts, as well as The Holistic Nurses Association, and taught courses on women’s sensuality and spirituality (e.g., Medicine Dancing and Sacred Courtesan School). As a member of Poetic Dance Theater Co. and the masked dance theater company Tuju Taksu, Dhyanis has studied Balinese dance and the embodiment of mythological archetypes. For 13 years she produced and directed The Living Goddess Dance/Theater Project in Marin County, CA. She also directs Troupe Dhyanis, her own Northern California dance company. Also an award-winning theatrical costume designer in the San Francisco Bay Area, Dhyanis has two decades of theater experience, including costuming, scenic art and show production. She enjoys using her artistic talents to help women feel more beautiful, and produces her own line of custom dance wear and luxurious casual clothing, which she sells online, at trade shows and events.